I am seriously infatuated with these Blond Macaroons from Hail Merry right now. 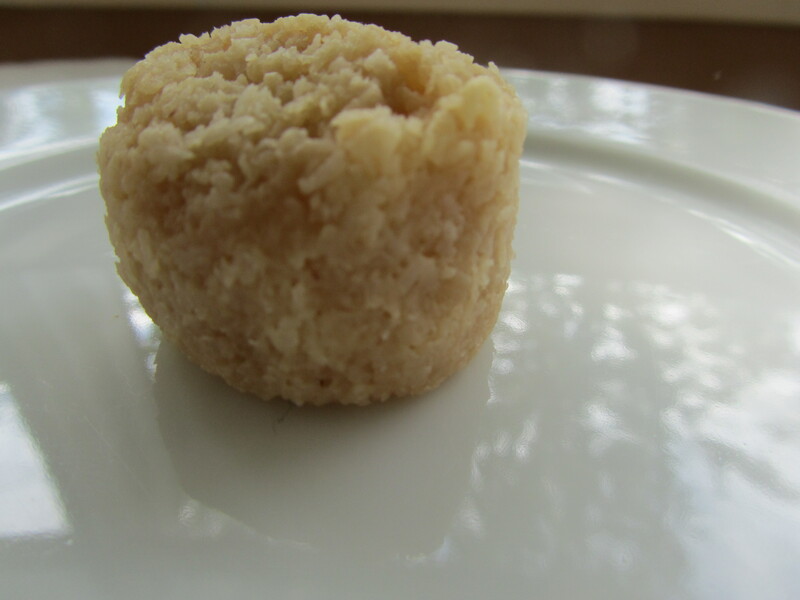 These sweet bite sized treats are made of raw coconut and almonds flour, sweetened with maple syrup and vanilla. Four to a pack, for a dollar something, they are gluten-free, raw, and vegan. You wouldn’t expect them to be so moist, almost fatty- likely from the coconut oil, but they are decadent enough that you only need to eat one, ok, two, and you are sated. yum, love them but they don’t love me.